Arguably the biggest name performing during Country Music Week is Little Big Town. The quartet bought their 'The Breaker' tour to the UK and included a stop at the prestigious Royal Albert Hall, which handily coincided with an already dream week for country fans. An unexpected last minute invite, and the cancellation of a planned tube strike, found your RGM scribe with a seat, a Loggia box seat no less, in a truly stunning building for which the term iconic was probably penned. Little Big Town are nearing their twentieth anniversary with the original line-up of Karen Fairchild, Kimberly Schlapman, Jimi Westbrook and Phillip Sweet still intact. Needless to say this is some going, especially when you consider they didn’t break big until 2005. Tonight’s show is their biggest yet this side of the pond, although they announced an upcoming headline slot at C2C during their set, so interest in the band is obviously at an all-time high in the UK. The band seemed genuinely honoured to be at the Royal Albert Hall and made reference to the venue often during the show. This was definitely a bucket list moment as Kimberly joked that she felt like a hillbilly in the royal palace. Luckily she felt she had chosen the right dress as she fought the urge to curtsy. 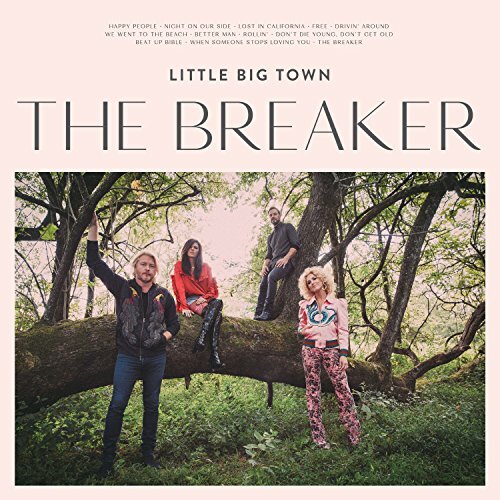 Backed by an excellent 4 piece band Little Big Town are blessed with stunning vocal power and range. Karen might get the majority of the attention due to the likes of the Taylor Swift penned 'Better Man' but all four sing lead and the harmonies are sublime throughout. Jimi Westbrook, the subject of much fan interest on the night, is in possession of a soulful voice as good as any you'll hear anywhere with ‘When Someone Stops Loving You’ sounding particularly fine. Despite the strength of their own material the band were happy to honour country great Don Williams before they bought the house down with a version of Alicia Keys ‘Fallin’ that highlighted those stunning four part harmonies while a smooth take on ‘Wonderwall’ shone a new light on the song and exhibited seductive power. The band did a fine job of mixing things up with a terrific 'Girl Crush' and another No.1 record ‘Pontoon’ sitting comfortable alongside tracks from the new album. The versatility and range of material was impressive as they switched effortlessly from country to pop to classic rock and back again (at one point during ‘Rollin’ they had four guitarists on stage). Country acts make records, tour them and actually play tracks from their new record live. It seems like common sense, if only more of the older classic rock acts would embrace this idea. On the night it was that aforementioned versatility which proved to be one of the most striking things about the evening, especially when combined with vocals that are every bit as good as you hope they’ll be. They may operate under the country banner but their live show is a real hybrid with, the a little too pop for me if I’m honest, ‘Happy People’ side by side with the aforementioned classic rock of ‘Rollin’ while ‘Little White Church’ guarantees audience participation. The result is a crowd pleasing, stadium friendly show that will be essential viewing at C2C next year. Please check out the links below for more Country Music Week coverage @ Red Guitar Music.